In partnership with business and community, the aim of the H.O.L.T. 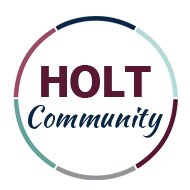 Scholarship Program is to inspire, enable, and support Holt Public School District students in pursuing and completing their college educations. A donor-supported project to help and support qualifying students in the Holt Public School District to receive an advanced education opportunity at an accredited secondary college or university.